When considering how their smiles’ beauty could be enhanced, having straighter teeth is at the top of many individuals’ list. Though metal braces are the conventional means of correcting alignment issues, their noticeable appearance often makes them a less-than-ideal solution. 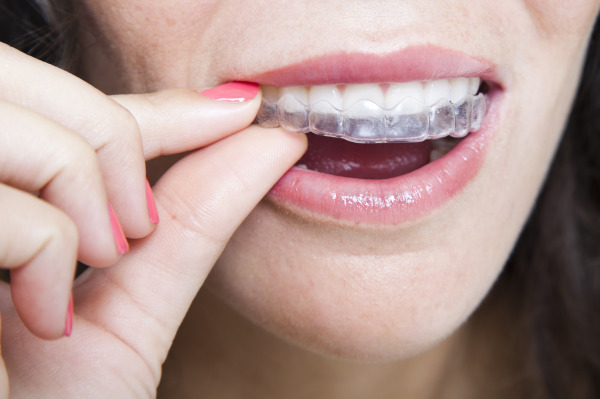 In these situations, Dr. Jeff Colquitt offers Invisalign® clear aligners as an effective, discreet alternative. As a certified provider of this trusted orthodontic system, he helps patients gain improved oral health and the exceptional aesthetic results they deserve. We invite anyone in University Park or the neighboring Dallas communities interested in discovering more about these invisible braces to call and schedule a visit with Dr. Colquitt. Are Invisalign Clear Braces Right for Me? If a patient is treating a smile that relapsed because they forgot to wear a retainer, Invisalign can assist with these cases. Severe malocclusion would need braces and other standard orthodontic appliances. However, most patients are in the right range for clear aligner therapy. When we look our best, we tend to feel our best. This makes having a straight smile a great way to boost confidence. Treatment with Invisalign aligners also supports your oral health. After all, evenly spaced teeth are easier to brush and floss. There are several distinct reasons why Invisalign treatment is considered one of the most comfortable ways to address malocclusion. Clear aligners support your current appearance as it improves it. Any orthodontic treatment can give you straight teeth, but metal braces stand out and can cause confidence problems before they fix your alignment. Clear Invisalign aligners make you feel more comfortable in showing off your smile during treatment. Many patients find the brackets and wires of metal braces poke and rub against their lips and cheeks. Understandably, this is a very uncomfortable sensation. In contrast, Invisalign aligners are perfectly smooth and customized to fit your smile. There are no parts of its design that will irritate you while you are wearing it. Gaining a Straighter Smile is Easier than You Think – Contact Us Today! If you have questions about getting clear braces in Dallas, TX, or if you're ready to take action now, don’t hesitate to contact our office for more information or to schedule your Invisalign® consultation. "The decision to improve my smile is one of the best I have ever made." "It has now been 15 years since my implants by Dr. Colquitt and I could not be happier with the result, in fact so happy that I would gladly do it all over again."